Commercial operations began at IPGCFZ with the arrival of a Cyprus registered bulk carrier with 72,458 MT of corn cargo. New Delhi: India and Iran will celebrate ‘Chabahar Day’ on February 26 at a mega event in Iran’s strategically located port, which is operated by India. The jointly organised event will showcase business potential of the port and the proposed economic zone that present a stark contrast to Pakistan’s Gwadar Port, which China hopes to build as a military facility, said officials. A senior Indian official will lead a high-powered delegation comprising business delegates, among others, at the day-long event which will also see participation of Afghanistan, Central Asia and Russia. Iran will make a presentation on the prospects of the port to the visiting delegates. Iran is pitching the event as an opportunity for businessmen, traders, freight companies, and national and international liners from various countries, said an Iranian official. One of the main goals is enabling entry of large international shipping liners into the port, he said. The port, India’s key link to Afghanistan and Eurasia, became operational for transit to Kabul following a tripartite agreement between India, Afghanistan and Iran. 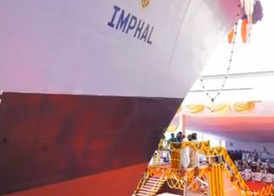 India Ports Global Limited, which is operating the Shahid Beheshti terminal, opened an office in the port in December last year. On December 24, 2018, India, Iran and Afghanistan jointly inaugurated the office of the Indian special purpose vehicle – India Ports Global Chabahar Free Zone (IPGCFZ) – in the port. 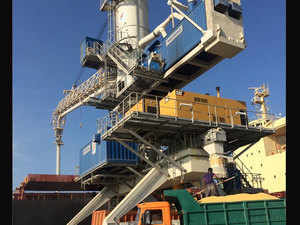 The physical takeover of the terminal area, cargo handling equipment and office building was completed five days later. India is also developing a 500-km-long Chabahar-Zahedan railway link that will connect Afghanistan’s Zaranj-Delaram road and bring Iran and Afghanistan closer. The Chabahar port is a key pillar of India’s Indo-Pacific strategy that also connects Eurasia with the Indian Ocean Region, according to experts.